Eira, the master of revolver and dimensions can bend space at her will. She stalks the battlefield with her Mana Revolver, seeking her long lost sister, Arisha. Eira’s power to open portals and swiftly shift back and forth from different dimensions, allows her to attack and evade from anywhere and everywhere. 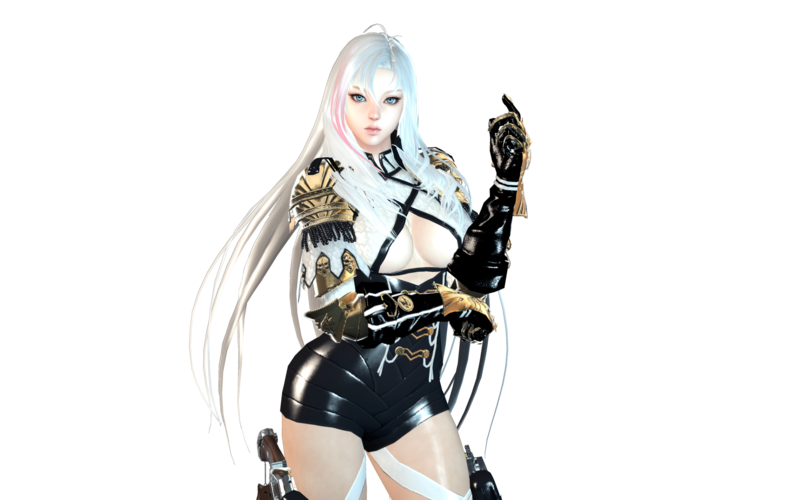 Eira, the Void Witch, will be joining the thirteen heroes this April 30th, 2019 (PST). Glide through different dimensions through Eira’s portals and enjoy the truly unique, our fourteenth hero, EIRA. 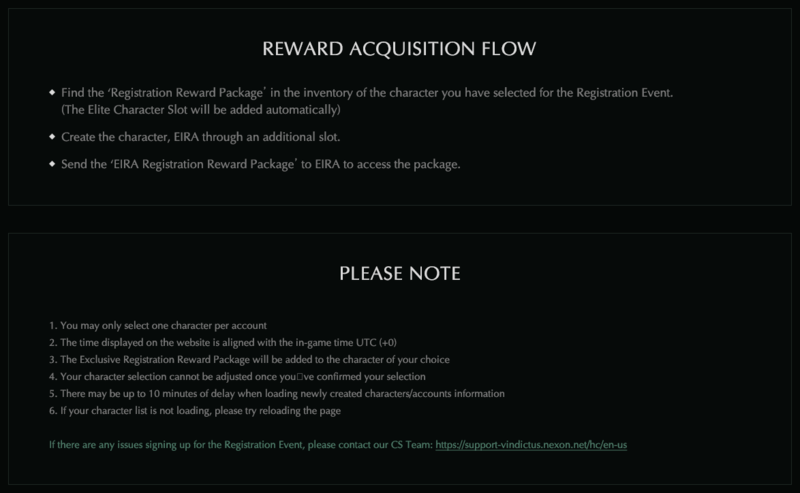 Make sure to sign up for EIRA Registration Event and claim all the EIRA exclusive rewards! Once you’re done signing up for the EIRA Registration Event, jump right into the game and get ready for Eira’s arrival with all the overflowing rewards from the Eira Warm-Up Attendance Event. 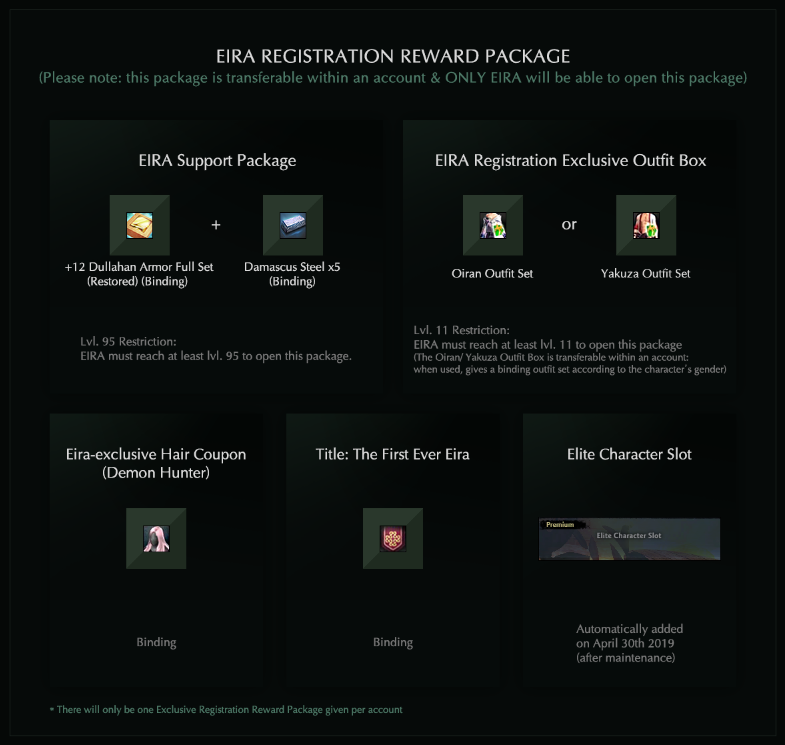 Also, make sure you pay close attention to EIRA EXCLUSIVE item give out days! And don’t miss out! Friday 3/29 Mysterious Shard Grade 1 Not tradable. No expiration. Friday 4/5 Abyssal Shard Grade 1 Not tradable. No expiration. Sunday 4/21 AP 1000 Capsule (ID Shareable) Can be traded within the account. No expiration. 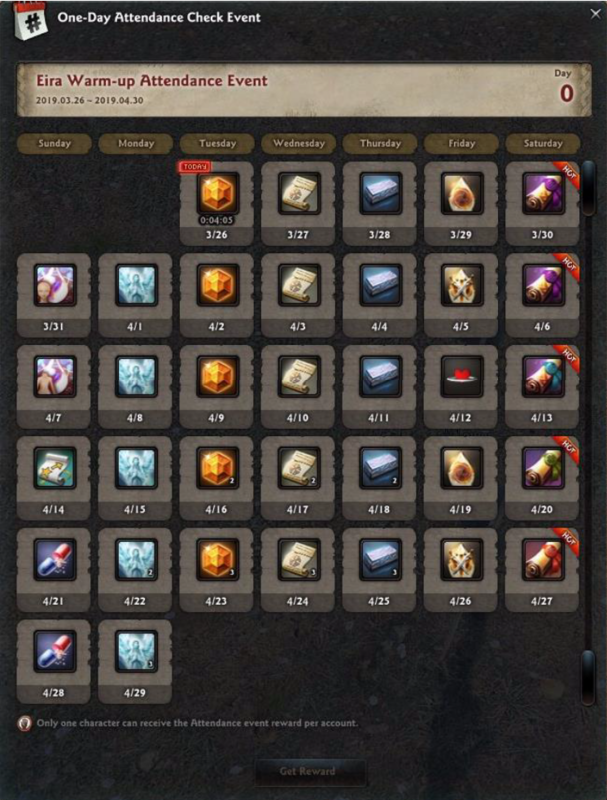 Friday 4/26 Abyssal Shard Grade 1 1 Can be traded within the account. No expiration. Sunday 4/28 AP 2000 Capsule (ID Shareable) Can be traded within the account. No expiration.